Emil Homerin teaches History of Islam. The department offers bachelor of arts degrees in religion and in classics, and minors in religion, classics, Latin, Greek, Hebrew and Arabic. Studying ancient Greece and Rome at Rochester is not merely a matter of antiquarian interest; rather our courses enable students to explore the past in ways that allow them to understand the present and imagine the future. Students study the foundational texts and significant artifacts of the western world in order to understand them on their own terms and in their ancient contexts as well as to develop a deeper awareness of the ways in which classical antiquity has shaped and continues to influence contemporary society. The classics major is language centered, emphasizing ancient history, art and archaeology, literature, and philosophy. Recent graduates of the department have an excellent record of admission to graduate school as well as to medical school or law school. Religion is a major force in the world, both in the past and in the present. It often plays a key role in shaping the lives of individuals as well as societies and cultures at large. Students of religion learn to employ a variety of theoretical and interpretive approaches in the endeavor to understand religion in the diverse forms it has taken in different cultures and historical periods. The religion major focuses on the study of the world’s major religions through analyses of their histories, texts, rituals, institutions, and practices which are embedded in complex cultures, societies, and political systems. Students can also take courses in which some aspect of religion, such as ritual, pilgrimage, mysticism, or myth is studied thematically and comparatively. 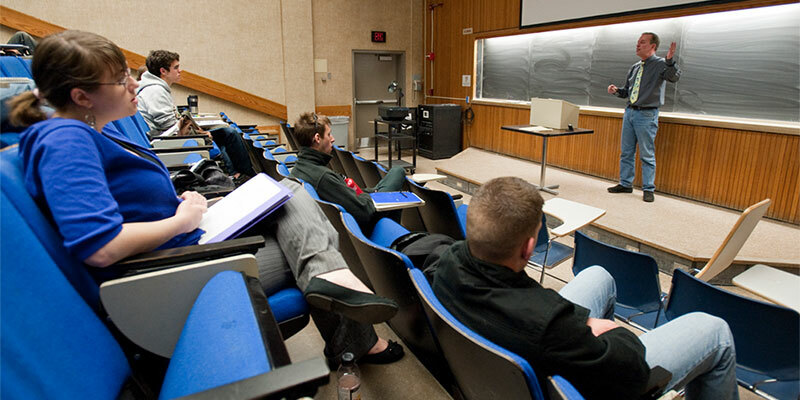 The religion major is structured so that students have considerable independence in shaping their major so that they can focus on those areas of the study of religion that are of greatest interest to them, while also developing a strong foundation in the study of religion generally and a mastery of the methods and theories used by scholars to understand religion in all its fascinating complexity.